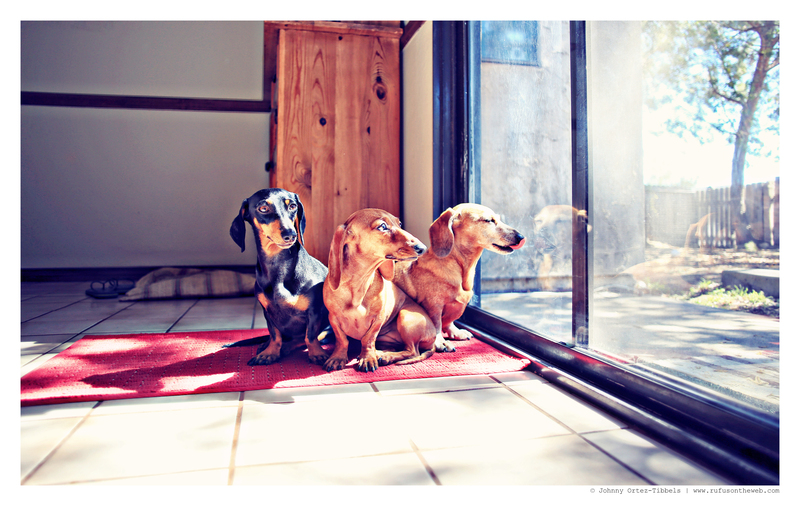 It’s our favorite time of the week again – Wiener dog Wednesday, and here are three of my favorite hot dogs: Rufus, Emily & Lily. I love to take posed portraitures of my hounds, but I also like it when I am able to capture them in their natural state. These are my sausage dogs doing what they do best. Have a wonderful day dachshund friends. 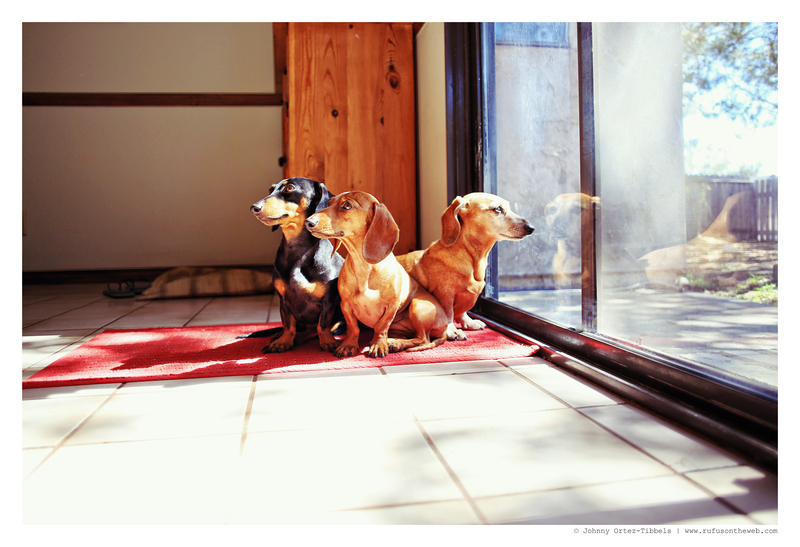 This entry was posted in Emily, Lily, Rufus and tagged #ADachshundsLife #HappyHounds, #black and tan dachshund, #dachshund, #LowRiders, #red dachshund, #smooth dachshund, #WienerDogs #HotDogs, doxies. Bookmark the permalink. Rufus, Emily and Lily are enjoying the sunshine! !